Halloween... the day that kids look forward to all year, and the day that teachers dread?!? 8:20-9:00 Morning work (Daily Math), correct homework, decorate paper candy corns, and share our Spooky Stories they have written the past week. 9:30-9:55 Share more Spooky Stories and have them create a mini book with different Halloween idioms. Yes, I know - I haven't done that yet. If not enough time this will bump to the afternoon when I have classroom rotations. *Read aloud and create a monster by tearing construction paper into the different shapes. As the teacher will read the story, the kids design how they imagine the monster to be. Station #1: Create Oobleck (looks like slime) - My station 2 cups corn starch + 1 cup water + food coloring I mix it in a big bowl, then use a tablespoon to put it into sandwich bags to which the kids choose their color slime. Station #2 and #3 *Multiple meanings pumpkin games and candy corn is/are, was/were game. 3:05 I sink into my chair and do not move for a while. We had to create a door decoration and this year I found this on TPT. I knew I had to do it with all the superhero crazed kids in my class. Each grade level at our school also has specific lessons that we need to cover to help reinforce the meaning behind Red Ribbon week. I teach these in different ways. First, I have my kiddos make a mini book using a sheet of red construction paper folded in half with 2 sheets of copy paper folded inside. They use one staple to hold it together. ONE staple!!! On the outside cover they glue the alliteration of "Red Ribbon Reflections" and their name. 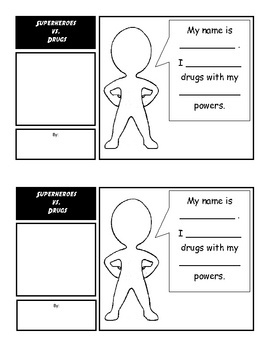 Page 1: They do a brainstorm of what they know about being drug free. Page 2 & 3: Lesson 1 - Organs They draw the outline of a human body and as we talk about the importance of the different organs they draw and label. The corresponding page then has a brainstorm list of different ways we can keep our bodies healthy. Pages 4 & 5: Lesson 4 - Alcohol & Lesson 5 - Terrible Trio I share some facts for them to write down - especially the short and long term effects of doing these things. I know they have heard similar things before so my goal is to scare them enough of the consequences of messing with things that can and will hurt them. Page 6: Lesson 6 - Advertising We talk about how advertising is geared to make someone want to buy something (it also ties into our business unit) and in their books they draw an ad to be healthy. Page 7: Lesson 7 - Say No We practice saying no to different situations, and then they write a little play in their little book to show comprehension. Page 8 - Reflections I want to know the things they think are the most important. They have to write me a paragraph sharing their hearts. When the book is completed, I collect and give them a completion/participation grade. It goes under health on the report card. Every year it's the same issue that I have. I can not just leave well enough alone on minimum days. I do the same thing at my house and it drives my family crazy with the constant rearranging. Parent conferences are this week, and after spending all day on Monday in my classroom, I just wanted to change everything around - at least on the bulletin boards. So Tuesday and Wednesday I spent a good portion of my prep time standing on a chair. 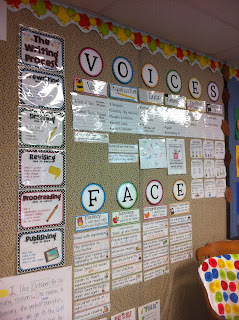 I moved my FACE pictures to a smaller board and my FACE cards to share my VOICES board. I updated my stars from the VOICES board to laminated lined paper so I could add the colors of the Rainbow Edit directly to those reminders. The VOICES and FACES information also got a makeover. I decided to laminate the beautiful circle letters from Ladybug's Teacher Files. Before I had them in sheet protectors, but I'm trying to make it a tad smaller in size to combine both the boards. I moved my Reading vocabulary pictures (on the colored card stock) up from below the board to the side of the board. 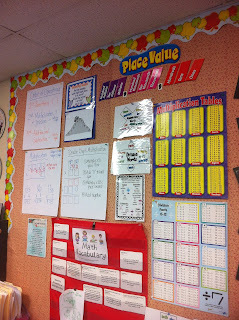 That allowed me to be able to post my Making Connections and Story Map poster boards up high above the board. I also was able to stick up some more anchor charts of the different reading skills (Compare/Contrast, Cause/Effect, Predicting, Visualizing, Asking Questions) on the other side of the top of the board. I decided to take those FACE cards of those skills and stick them on top of the anchor charts to help kids make the connection. I moved my Science vocabulary to the front of the room. It's just on a pocket chart, but I really want vocabulary to be all up front since it's what we are working on right now. This pocket chart switches between Science and Social Studies depending on what we are studying. I moved my entire Math wall to the big bulletin board on the back wall. 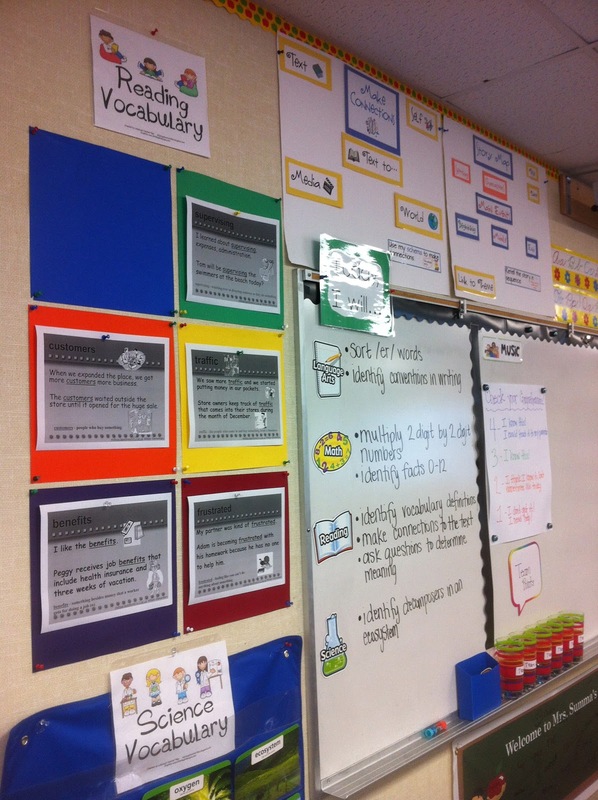 Now there is room for more anchor charts. I like that it is on an actual board that has fabric, and that most of the stuff is now at student eye level instead of way up high above the board. Hope you had a good day - last day of parent conferences! forget the stressfulness of work and focus on the positive. 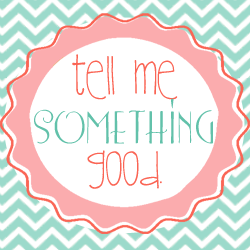 Write about something good at home and something good at school. My 3 boys have adjusted to a new year with new expectations. My 3rd grader has done a great job with his reading. (He is reading at a 5th grade reading level.) He loves to read but sometimes math can be tricky for him. He doesn't give up though when it's gotten hard. I'm so proud of him. My 1st grader is a social butterfly. He is learning how to control his need to vocalize every thought that goes through his brain. He shows his caring personality in a million ways, and is a huge helper. His self confidence has grown so much, and he now wants to read to us. Their hearts are so full to the brim with thinking of others first. Our 2.5 year old hasn't had an easy time learning to walk, run, or speak. We have been working with therapists (cognitive, physical, and speech for 22 months) Lately though he is trying to say more words, and he is learning to jump. Today he said cheese for the first time and I just about cried. This comes from yesterday when he decided to work on saying "I Love You" in his own little voice. It wasn't completely clear, but it's getting there. I have a hard class this year, the hardest class I've had in 13 years in the classroom. Some days it's hard to find the silver lining. I have many nice kids in my class this year that make me smile. They are keeping me sane when it's been a very long day. My challenging kids have also started giving me hugs on their own accord, so somehow in a weird way maybe they are appreciating the discipline to keep them on track. Maybe they know that I care about them, and it's because I care that I am consistent with the discipline. My class is pretty smart with Math concepts. They pick up on stuff fast. I know it's because most stuff isn't abstract, and it's a matter of following steps and directions to get to the answer, but it still makes life easier. I have to mention my team. We are all in the same boat with this special group of kids. It's nice to know they are there to lend a shoulder to lean on, to cry with, to laugh with. Okay, those are my home and school positives. I'm a blessed girl to be surrounded by family and friends that are there to encourage me. Somehow Halloween has been sneaking up on me - I don't know how it came so fast, but I'm not ready for it. I haven't had a chance to do all the fun stuff for October yet - there have been too many must do's instead to accomplish. So, I've been busy researching FREE things to do in the next week that combines the fun of Halloween and the needed review of being a 4th grader this time of the year. If you see something you like, just click the link and it will take you to the real pin on Pinterest, which from there will take you to TPT to download. I want to say THANK YOU to those creative people out there that have offered these freebies for the rest of us. There are many extensions of these activities that are available to download for a small price. Well worth it! 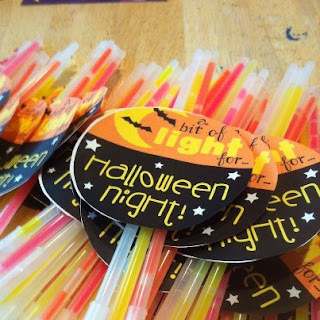 Halloween Idioms and Phrases I'm thinking of playing scoot with these phrases - putting one card on each desk and then having them move from desk to desk writing what they think it means. Who Am I? There are a bunch of characters on these cards that could be fun to play another round of scoot - put one on each desk and have the kids move around to write a sentence about each one - using those preposition words. Halloween Verbs I always have them create a spooky story using their spelling words - so thinking of sticking these verbs up to give them some ideas. Paper Bag Spooky Tree For Halloween my grade level is talking about doing rotations - so we will each get a different class for 30 minutes doing the same activity over and over... I'm thinking of doing this craft with the kids. It is something they can easily do in the time allotment, and they don't really even need to glue the colored leaves on - it's cool without it. Pumpkin Craftivities This freebie is a cute pumpkin that could be used for an art project, though I was thinking of using it to create our spelling word/word knowledge sorts in them. Multiple Meaning Pumpkins These are perfect for an ELA center - I laminated these and they are ready to go. Going Batty I see this more as a primary piece for writing, though I'm thinking of having my kids create the bats and then write an acrostic poem. Halloween Costume Character Traits I love how this is set up - so easy to use and tons of fun paying attention to details. I'm updating this post to link it over at 3-6 Free Resources for their linky party about Parent Conferences. Maybe it could help someone else too! Since it's Parent & Teacher Conferences this week, I created this survey for parents to fill out during our time together. I usually have 2 chairs outside on the "patio" of my portable for them to sit and wait if they show up early. I made a class set of these surveys and have stuck them into a manilla envelope for them to work on when they are waiting for me. I've invited the children to come along to the conferences in order to create game plans for the remainder of the year. The areas that I want their feedback are pretty simple. *I want to know their opinions on what area they see at home that their child is struggling and the area they think I need to challenge their child more. *I want to make sure that their contact information hasn't changed since the beginning of the year. *I still need help with some basics and wishes - like having more copy parents and water cooler parents... I want to put it out there for them that we need help. *Last I want to make sure that I get their opinion if their child is taking responsibility at home with their nightly homework - you know, the stuff they do EVERY night. I want to encourage their child to be more responsible, but almost every 9 and 10 year old that I have met needs a parent to remind them to practice their math facts, their math IXL skills, their nightly reading, and their spelling practice. I want to make sure that their parents remember all the resources that are in place to assist their child with their academic success. With the children at the conferences, it's an easy way to remind the families that continued practice is important. There is so much you can do with a file folder. The other week my class was taking a break from Life Science and we did a week of learning about Native Californians. In our Social Studies book we have ONE lesson about Native Californians, which in my humble opinion is not enough to properly cover the information. So, what do I do? I supplement. A couple of years ago I used the power of Google to find this free printable on Teacher Vision that helps my students in their research process. It's from Teacher Created Resources - they know how to make great products. I check out all the books of the different tribes from our school library, and the students get a chance to work in groups to locate information. We work on this skill in class for the Native Californians, as learning to search for information is the main reason that we do accomplish this project - it helps get them ready for the future Mission Research Project that they complete at home. I created a list of questions (over at Google Docs) that the students are looking for when they use the books and quite honestly they love it. I think it's because it makes them feel grown up. It's not until after they are finished searching out the 2 pages of information that I let them even touch these 3 pages of file folder report material. How do I have my class set it up? They use their 2 pages of A LOT of information to fill out the sheets about Culture, Food, and Shelter. They then glue the food and shelter pages into the inside of their folder, and put the culture page on the back side of the folder. The final couple of steps are taking a map of the CA Tribes, bubble cutting it out, and coloring in the area their tribe inhabited. They glue that onto the front of the folder and decorate the rest of their cover with the tribe name and any other detail they want to remember. When it's all said and done, they stand up with their tribe partners and each share the most interesting fact they learned about the culture. See? I was thinking when I had them glue that onto the back of their folder. When they get up front, I tell them that they are the experts and everyone wants to learn from them. They feel so important having that big responsibility. I love it because it's another opportunity for them to stand up front and face their fears of public speaking. You know when you hear something that seems so simple you wish you had thought of it yourself? 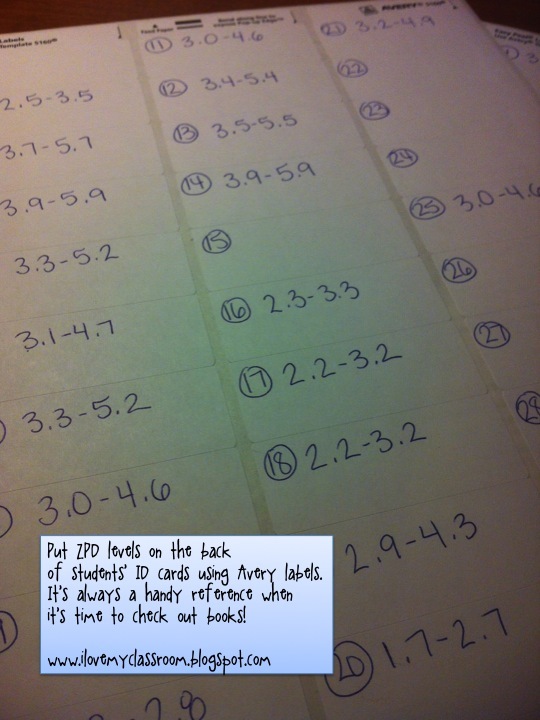 My teammate mentioned she writes her students ZPD levels on Avery labels and puts them on the back of their ID cards. How simple is that, and why did I never think of it? No more book marks to make. No more bookmarks for kids to lose. No more shuffling through lists of ZPD levels to find each kid as they are trying to check out their books. Since our students must have their ID cards to check out books from the library they always have the little reminder with them of what levels they should be reading. You know... those Good Fit/ IPICK books. the library to be checking out books from. My class retakes the STAR test every trimester to update their range and to show progress. So I will be able to update their range throughout the year on their cards. It's going to be easier just hand writing it for me, though I'm sure you could type the labels up if you want. I love my team. She also said when she taught primary she color coded the levels on the sticker since numbers were too hard for her little kids. It made life so much easier during library time. stick them onto the back of their ID cards. There have been many projects going on in my classroom as we ended the First Trimester. 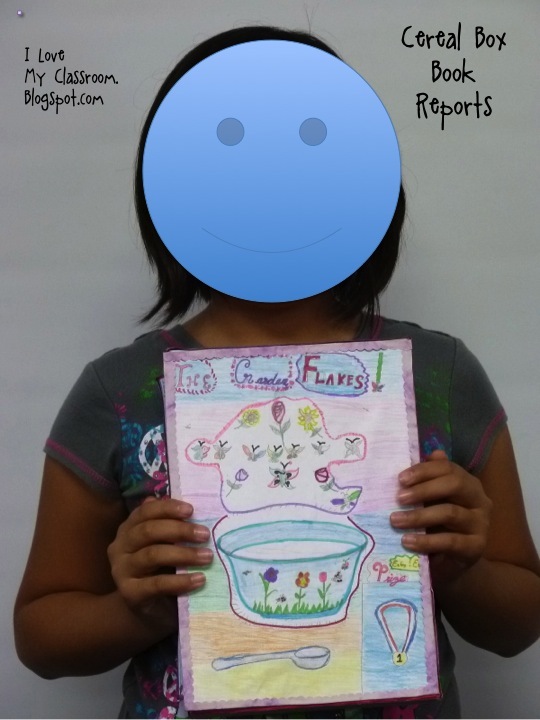 Above is one of my talented students with her Cereal Box Book Report. When I switched to 4th grade, I spent that summer going through a ton of websites looking for "fun" activities to do to enrich the curriculum. I ran across the idea for a Cereal Box Book Report at Mrs. Pearce's Class Website. 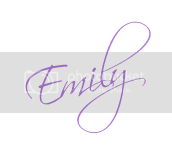 *Updated to add that the link that I had doesn't work for her website, so I found the templates free to download on the blog below. 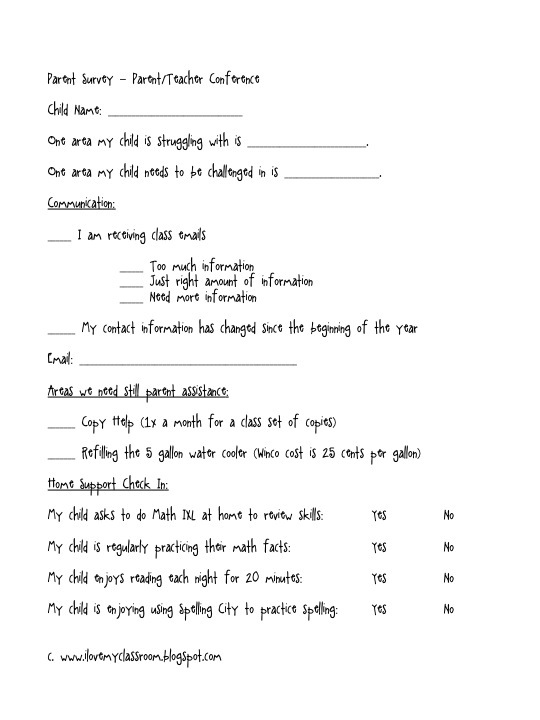 Here are the templates that I found on Room 10's blog. It's a free download. I send home a little explanation note to the parents and I give them a month to work on the project in case they need time to read a larger chapter book. I have them choose a fiction book (since our Spring Book Report is a non-fiction/Biographical). *Front of the box: Include the name of the cereal and a picture. 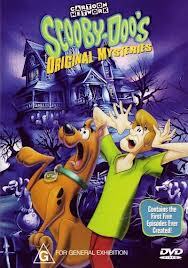 Invent a name for the cereal that is related to the title of the book and sounds like a cereal. Do not use the exact title of the book. *Back of the box - Students need to design a game that is based on the story. It can be a puzzle, a word search, a word scramble, a maze, a crossword puzzle, a hidden pictures illustration, or any other fun activity that might be found on the back of a cereal box. Make sure it includes information from the book. *Left side of the box: Students have to write a summary of their book. *Top of the box: Students need to write the name of the book, the author, number of pages, and they must give the book a rating. *Right side of the box: Students need to write the "ingredients" of their book - the characters and setting. *Prize: Cereal boxes often include a prize. Your prize must be something the main character could have used in the book or something that reminds you of the main character. You can even include a picture of the prize on the front of your box to let the reader know what is inside the box. Now, my students also had to give an oral presentation for when they came up front to share their cereal. Over the years I have seen a bunch of very creative "commercials". I was Boo'd a couple of days ago by Layla over at Fancy Free in Fourth. Layla has ALWAYS been that mentor blogger that is willing to give a shout of encouragement. It made my horrible, no good, very bad day so much better. Thank YOU! There are a couple of different Boo Linky Parties going on at the moment, this one was started by the fabulous Cynthia over at Second Grade Pad. *Choose a fellow blogger that has MORE followers, another that has about the SAME number of followers, and last, someone that has LESS followers. 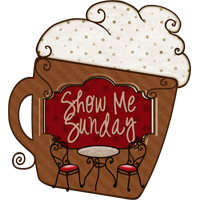 *Highlight their blogs with links to encourage others to check them out. 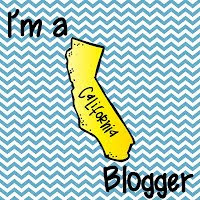 Don't forget to let your fellow bloggers know that you shared about them. goody from your store as their "treat." 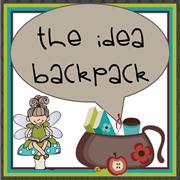 April at the Idea Backpack is full of great resources. Cassandra at Adventures in Room 5 has great classroom stories to share. Tales of a Fourth Grade Teacher She had so many ideas! head over to the Linky Party. has a ton of stuff going on. (If you click the pictures it will go to the pin. It's Anti-Bullying month so a bunch of read alouds and activities. We are covering food chains and webs in Science. We are on the brink of double digit multiplication in Math. Our Reading Unit is about businesses so we started the read aloud Lemonade War and I found some activities to go with it. I have this thing with Classroom Art Projects - not that there is always time, but I love looking for ideas. Lastly, I am always looking for more crock pot recipes to try. This girl loves having dinner make itself! I can't believe 1,199 people are following me on there! Wow! If you aren't following me, well this is your official invitation! Click the button on the side and come on over to check out my boards.